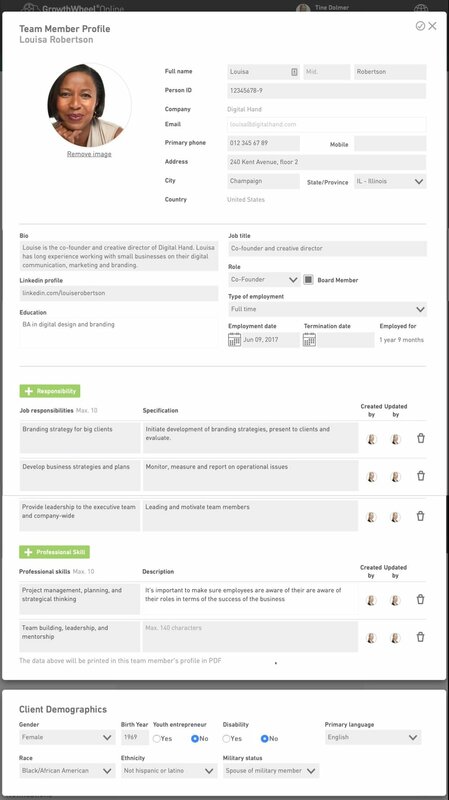 Today, we are releasing an update to the team page in the Business Profile, which gives you the opportunity to create visual team member profiles for all employees and board members in your client companies. 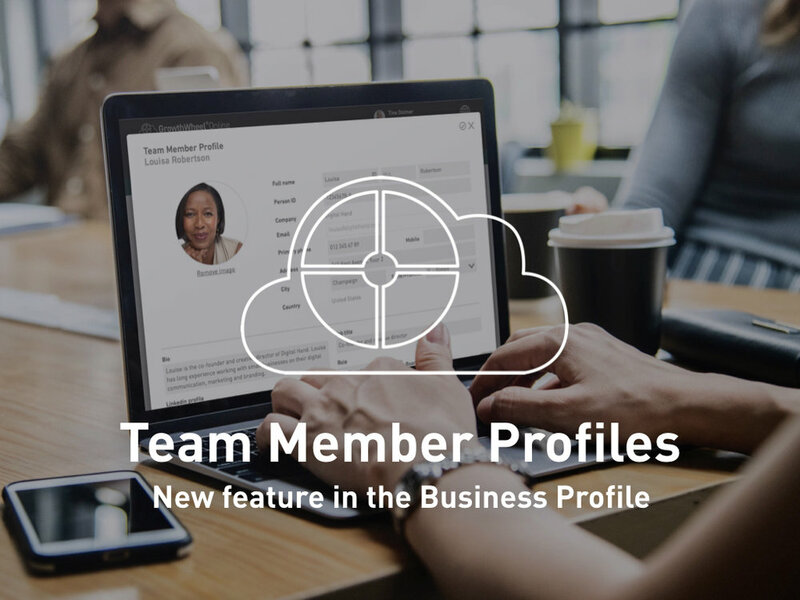 The new Team Member Profiles will help business advisors get a quick overview of the client company’s management, employees, and board members. For each team member you can add information like contact details, educational and professional bio, and role in the company. 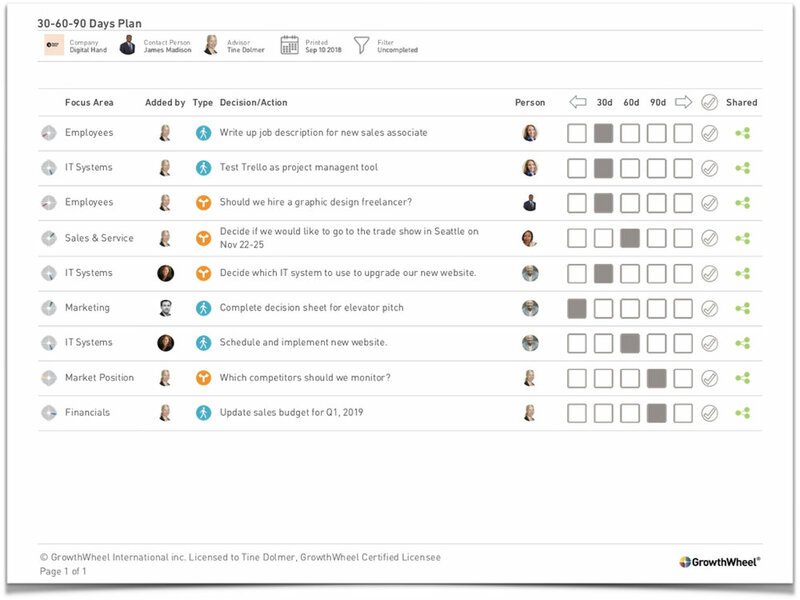 You can also add sections where you describe the team member’s job responsibilities and professional skills, or demographics for reporting. 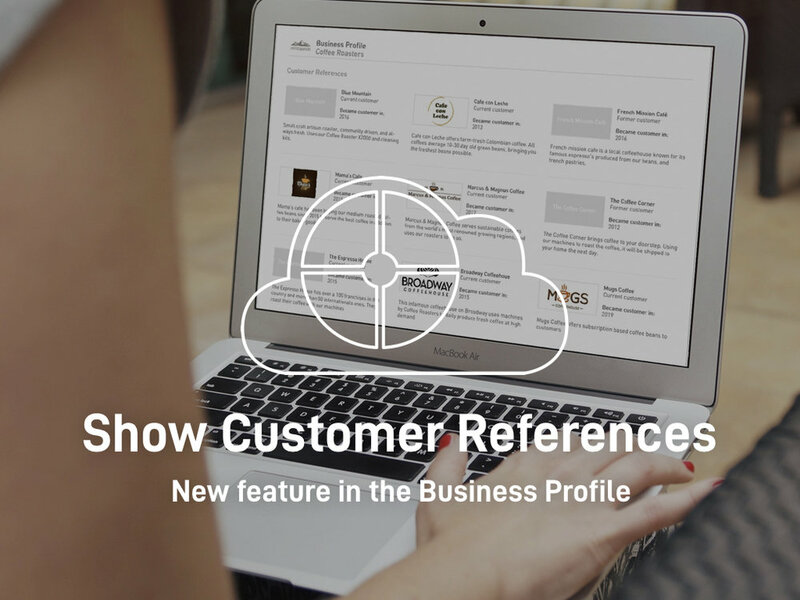 The Team Member Profiles support the conversations you are already having with your clients. And by turning your notes into a product in the cloud, you make it much easier for your clients to present their team to stakeholders — or show that they have the required skills to grow the company. 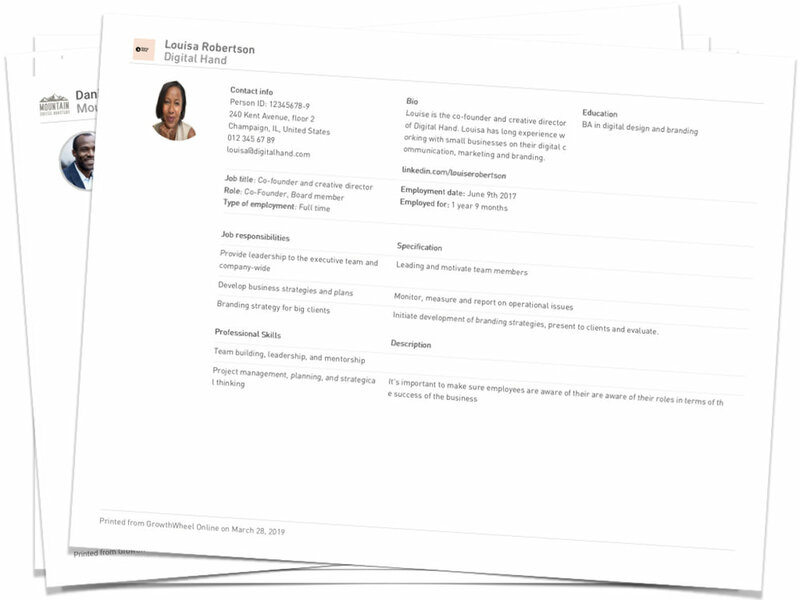 All the new team member profiles can be printed as a visual PDF report — ready to be shared with stakeholders or used for reporting at your center. Add information like contact details, educational and professional bio, and role in the company. List the team member’s job responsibilities and professional skills. Add client demographics that you can use for reporting. Our February release brings an update to the Interactions menu so you will be able to schedule and invite clients in addition to keeping track of past interactions. Starting today, you can schedule interactions like meetings, phone calls, and workshops in the “Interactions” menu on GrowthWheel Online — and invite one or more clients to join you. When you invite a client for a meeting you can use our new customizable email templates that list all the practical details and allow you and your client to copy the meeting to your personal calendar. In the Interactions menu you will be able to filter planned interactions from past interactions, manage all interactions, and generate analytics. You can also print all planned and past interactions as a visual PDF you can use for reporting. Schedule interactions like meetings, phone calls and workshops and add practical details and purpose of the interaction. Fill in all relevant information about the new interaction, such as type, date and time, location, and purpose. The customizable email templates make it easy to invite your client to join you for a meeting. 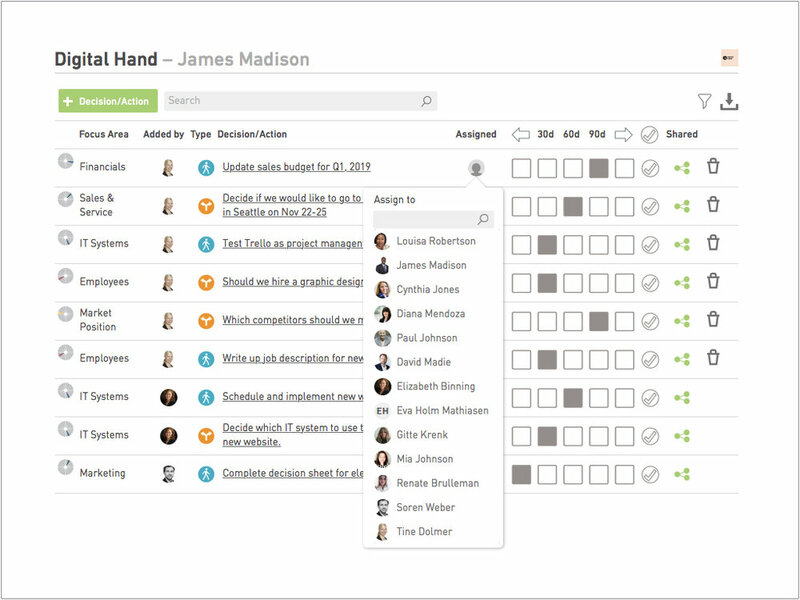 You and your client can also copy the meeting to a Google, iCal, or Outlook calendar. You can manage all past and scheduled interactions on GrowthWheel Online and download the list as a visual PDF that you can use for reporting. Over the course of 2018 we have improved and added new features on GrowthWheel Online thanks to the valuable feedback from our users! We are committed to making continuous and never-ending improvements of the software in collaboration with our users. We release new features on a monthly basis, and we have hundreds of upcoming features on our road map. In 2018 we released 10 new features. Check them out below or on GrowthWheel Online. In our first release of 2018, we added profit charts to the Business Profile. This gives you and your clients a more comprehensive and complete financial view of the business. Save time when you invite new clients with our new e-mail templates brought to you in March. Instead of writing an new e-mail every time you invite a client to the platform, you now have a ready-made e-mail that you can edit to your wishes. With our April release we created the option to manage your relationship with external mentors on GrowthWheel Online. In the menu "My Network" you can add mentors, create mentor profiles and download them as good-looking PDFs. With our June release you can see a visual chart that shows the market potential of your client companies. Simply add estimated numbers for Market size, Market potential, and Current Market in the client’s Business Profile. With this release you can add a list of your client companies' partners and see them on a new page in the PDF. Showing who the client is working with is important information that is useful for banks, lenders, investors, and also yourself. Share Legal Information with Stakeholders. This release makes it possible for advisors and client companies to upload legal documents to GrowthWheel Online and include them in the Business Profile. Execute on your ideas by assigning and follow-up. Our september release brought a substantial improvement to the 30-60-90 Days Plan that allows advisors and their client companies to assign decisions and actions directly to team members. With this release, you and your clients can watch short video tutorials that explain the 100 GrowthWheel Decision Sheets. Find the Decision sheets on GrowthWheel Online, and look for the video icon! In November, we released ready-made workshop programs that you can use to plan, promote, and execute your own workshops. All materials can be tailored to fit your exact needs. Our December release enables you to add links to your Personal Tools for each stage of your service: Intake forms (PDF links), Information to register a business, Links to instruction videos, Online sign up forms for your organization’s workshops, and so on. Now you can share links to YouTube videos, PDF-files, your organization’s website and more with your clients the same way you share tools on GrowthWheel Online. This release makes it easier to add and organize information that needs to be shared between you and your client — keeping everything in one place. You can add links to your Personal Tools for each stage of your service: Intake forms (PDF links), Information to register a business, Links to instruction videos, Online sign up forms for your organization’s workshops, and so on. To get started, login to GrowthWheel Online, and go to the menu Personal Tools. Save website or video links that you can later share on GrowthWheel Online with your clients. When saving the link in Personal Tools, you can add it to your favorite tools, share it with clients by email, or add it to the tool basket (if you want to share multiple tools and links). Go to the menu Personal Tools to add a new link. Add a name, choose “link” in the category, and add the URL of the link you want to share. You can also add a thumbnail of the information you want to show. After adding a new link, you can share it by email with your client, add the link to your Favorites, or the Tool Basket. You can also add the link directly to the advisor/client files so the link is automatically shared with that person. In November, we are happy to release ready-made workshop programs that you can use to plan, promote, and execute your own workshops. The workshop programs on GrowthWheel Online, make it easier than ever before to set up and organize your own training. All materials can be tailored to fit your exact needs. 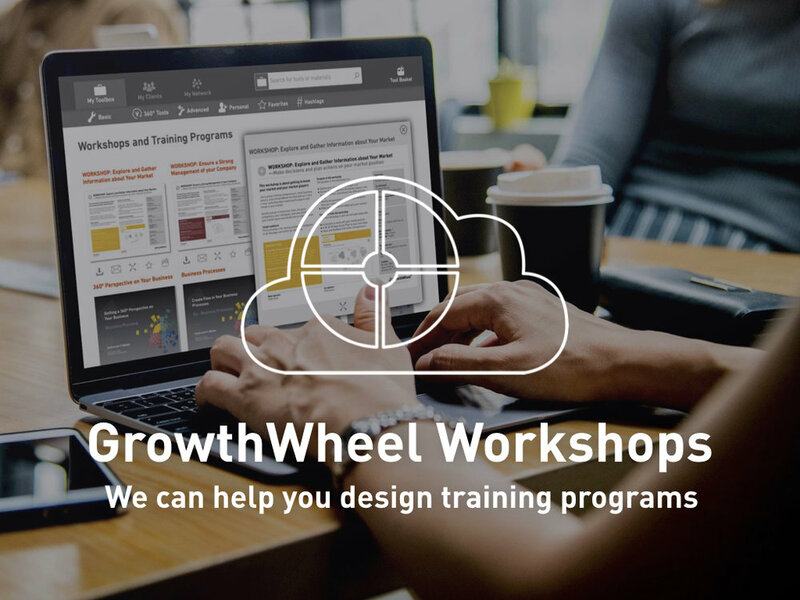 To get started, login to GrowthWheel Online, select a workshop topic, and download the template description and slidedeck. If you would like more ideas for how to plan you own workshop program join our OnTrack Webinar on December 14th. 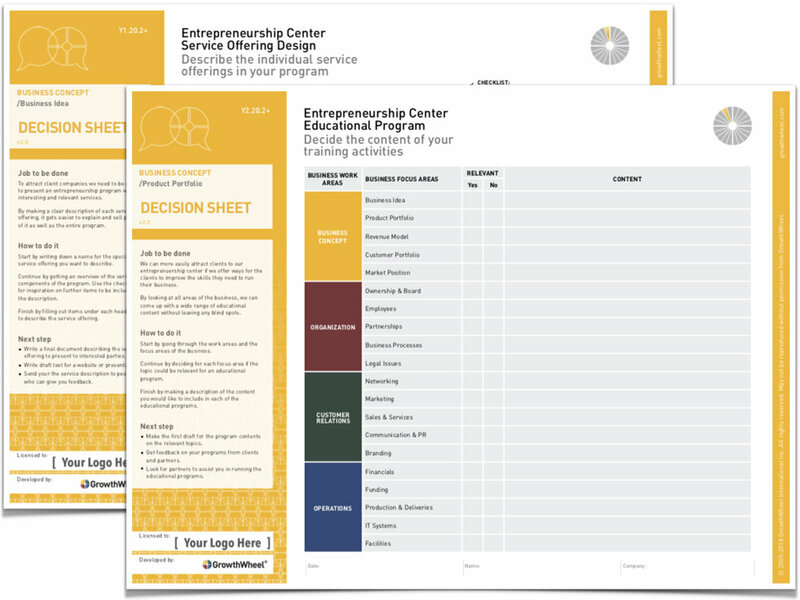 You can use the 2 new Decision Sheets to decide what you would like to offer your clients and which focus areas your workshops will cover. You can use the 20 new workshop descriptions - one for each focus area - as inspiration to plan your own workshops. The workshop descriptions are available as PDF’s and as template PowerPoint slides. You can use the marketing slides or workshop descriptions to promote your workshops. All are available as template PowerPoint slides. You can also see examples of how other GrowthWheel Certified Advisors are promoting their programs. You can use the 20 new template slidedecks as an outline for your own presentation. 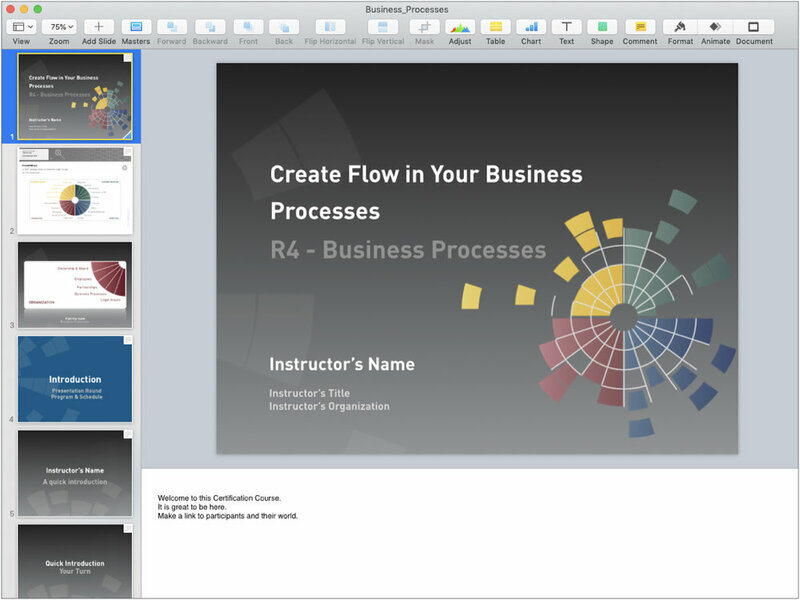 All slides have presenter notes to make it even easier for you! With our October release, you and your clients can now watch short video tutorials that explain the 100 GrowthWheel Decision Sheets. As an advisor you can watch the video tutorials under My Toolbox on GrowthWheel Online — just look for the video icon! Each video tutorial explains the Decision Sheet in 1-2 minutes: the job to be done, how to do it, and next steps. 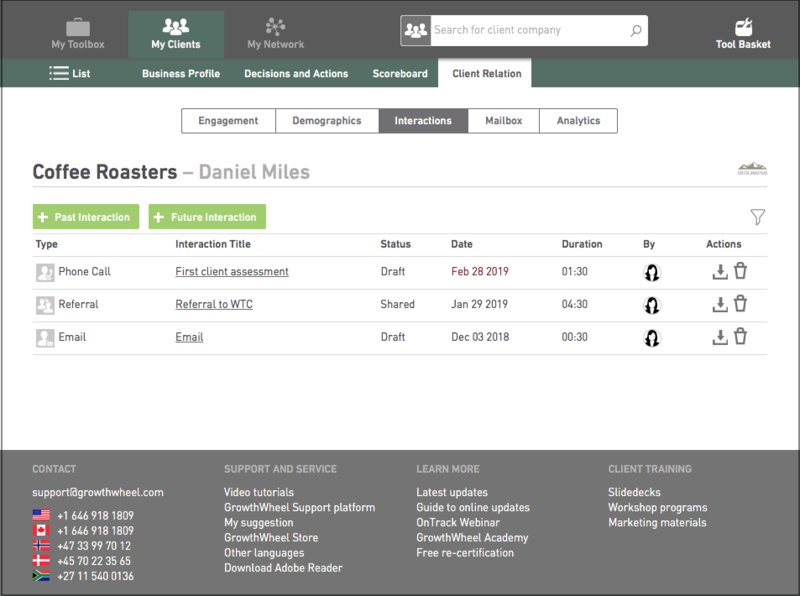 When you email or share a Decision Sheet, your client will be able to watch the video tutorial if he or she has been invited to work with you on GrowthWheel Online. So all you have to do is invite your client and start sharing! 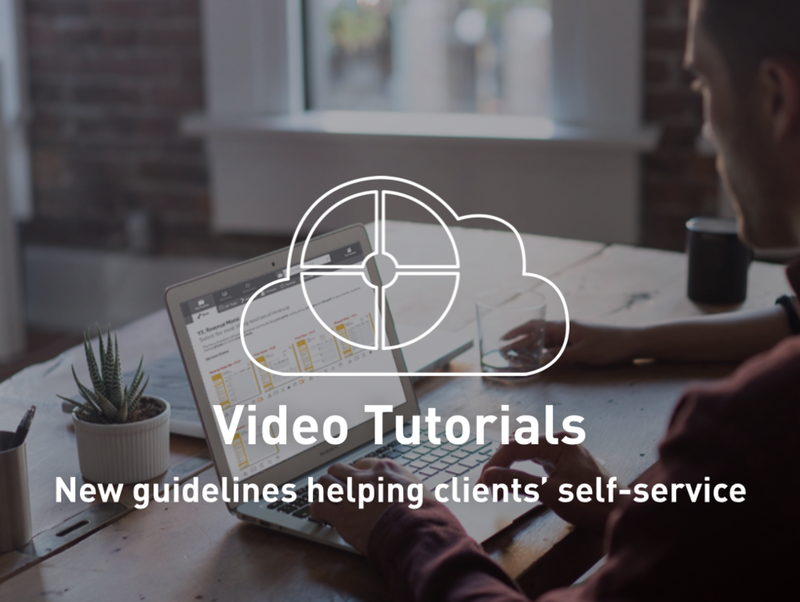 More than ever before the video tutorials allow for clients to better self-serve, giving them an improved digital experience when working with you. 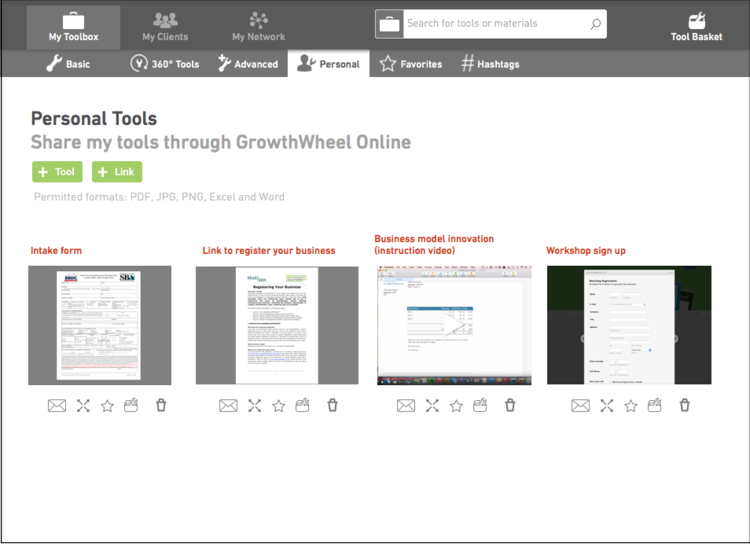 Log in on GrowthWheel Online, go to the Toolbox, find one or more Decision Sheets, and look for the video icon. Click on the video icon to watch the tutorial. Select one or more Decision Sheets and send them to your client. 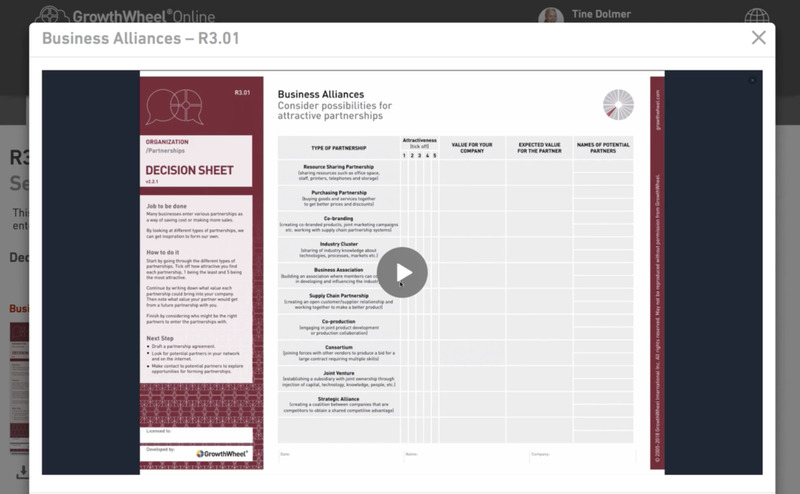 When you share a Decision Sheet, your client can click on the video icon in the email and will be directed to the menu Advisor Files on GrowthWheel Online, where he or she can watch it. 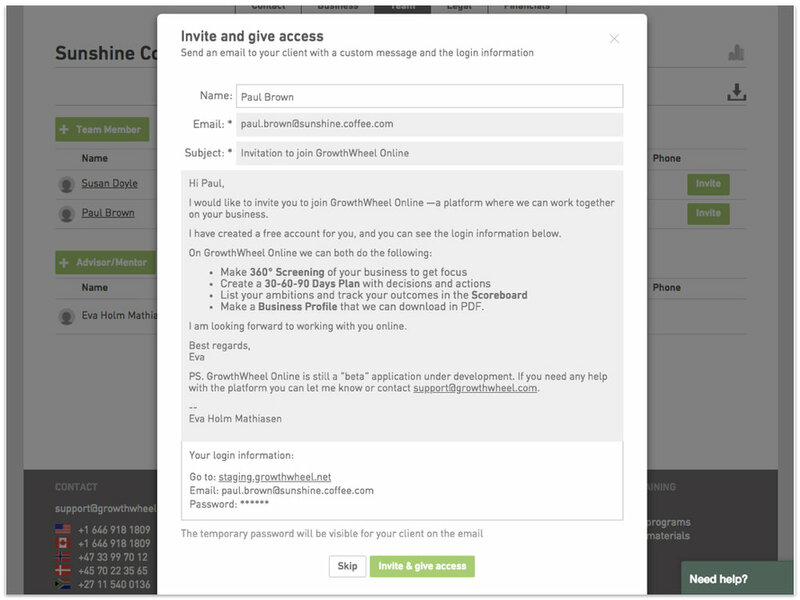 You client can always find video tutorials for shared Decision Sheets in the menu Advisor Files on GrowthWheel Online. We are happy to release this long wished-for improvement of the 30-60-90 Days Plan that allows advisors and their client companies to assign decisions and actions directly to team members. 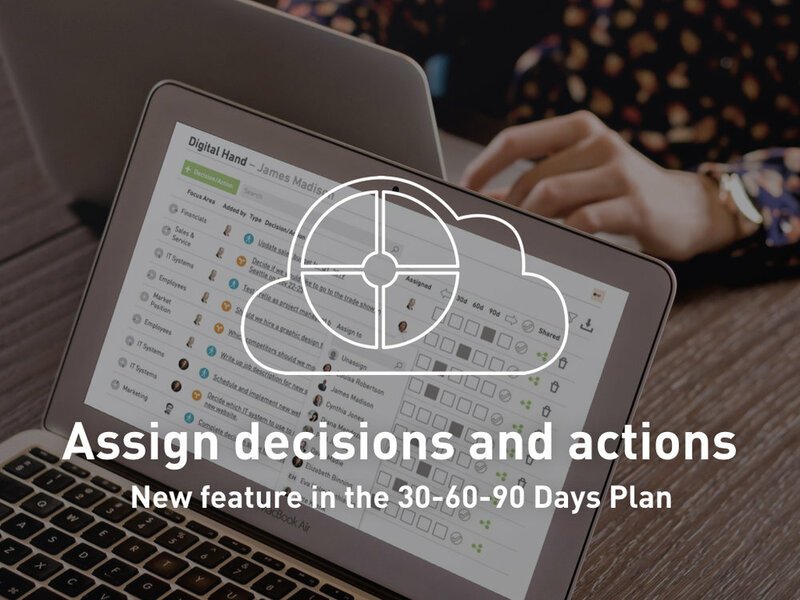 With the 30-60-90 Days Plan on GrowthWheel Online it's easy for you and your team to list all the nice-to's and need-to's, sort them as decisions or actions, and produce an actionable timeline. But who makes sure it actually gets done? When everyone knows who is in charge getting things done is somehow much easier. You no longer have to worry about all the tasks on the list, but can focus your time and energy on the tasks that you are actually responsible for. If you are an advisor who work with founder teams, this will help you work more efficiently with your clients. Turn talk into action by making sure that all the tasks that come up during your meeting are listed, prioritized, and delegated. After your meeting you can print the 30-60-90 Days Plan as a visual PDF-report and send it to your client and other team members. Or you can use it as a follow-up before your next meeting. Decide which team member should be responsible for each decision or action. You can filter by focus area, type, who is responsible, and priority. Print a visual PDF report to get a quick overview of all the tasks and who is responsible for what. Share the PDF with your clients and colleagues after a meeting, and use it to follow-up before your next meeting. 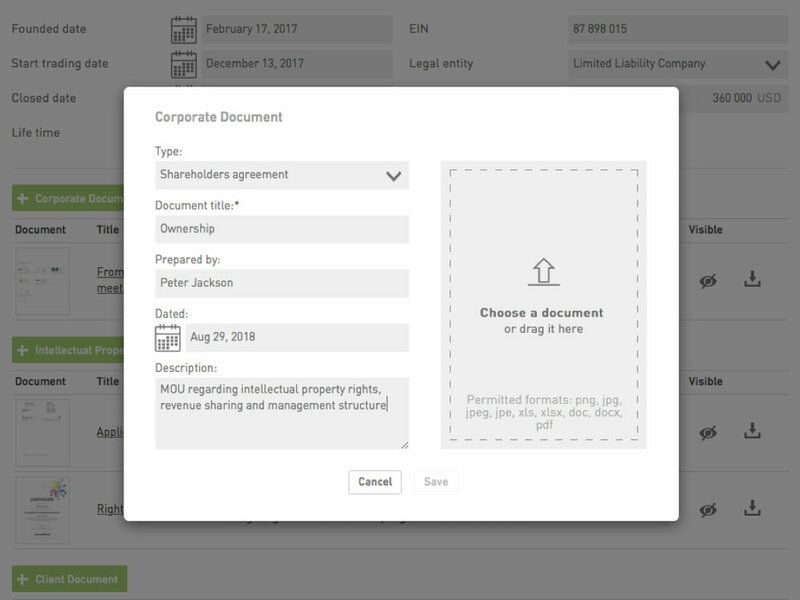 You can already add legal information like company registration number, founding date, and legal entity, in the Business Profile. However, you might also need to communicate additional legal information to stakeholders like banks, investors, or advisors. Legal documents can be anything from by-laws and shareholder agreements to permits and certificates, and anything else you need to share. This release enables you to upload the legal documents and print the company's entire Business Profile as a visual PDF report. Lenders and other stakeholders will be very impressed! Also, we’re introducing a brand new feature called "visibility button." It allows you to decide which documents should be visible on the printed Business Profile. You can upload legal documents like by-laws, shareholder agreements, permits, and certificates. Choose a type of document, add title and description, and upload the document. You can decide which documents should be visible when the Business Profile gets printed as a PDF report. Turn visibility on or off by clicking on the icon. 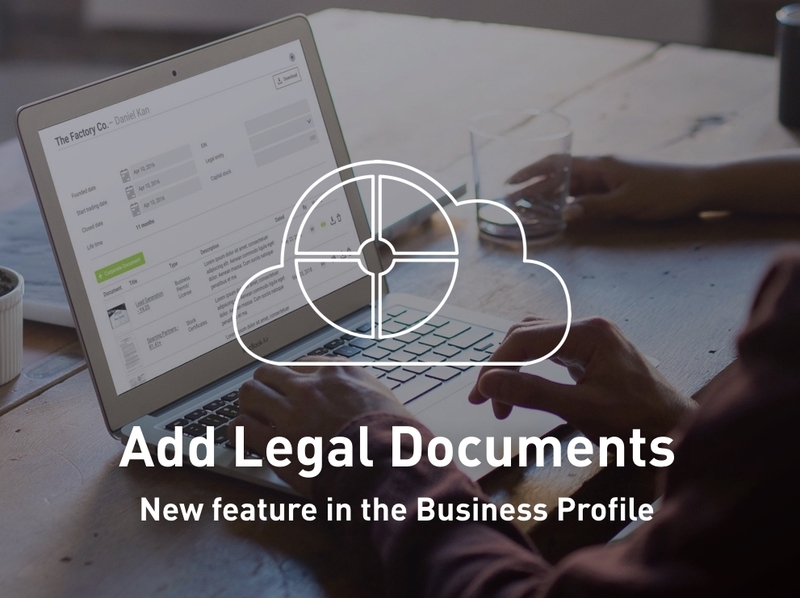 You can upload the legal documents, select visibility, and print the entire Business Profile as a visual PDF report that you can present to stakeholders. We continue to improve the Business Profile on GrowthWheel Online and with this monthly release you can now add a list of your client companies' partners and see them on a new page in the PDF. Showing who the client is working with is another great piece of information that is useful for banks, lenders, investors, and also yourself as you are helping the business grow. Of course we have made a list of the type of partners the clients might have in each category, so it's very easy to add, and be inspired for adding more. Add partners and indicate all the necessary information such as description, logo and partnership start/end date. The partner types can be used as inspiration for your clients to list their partners. 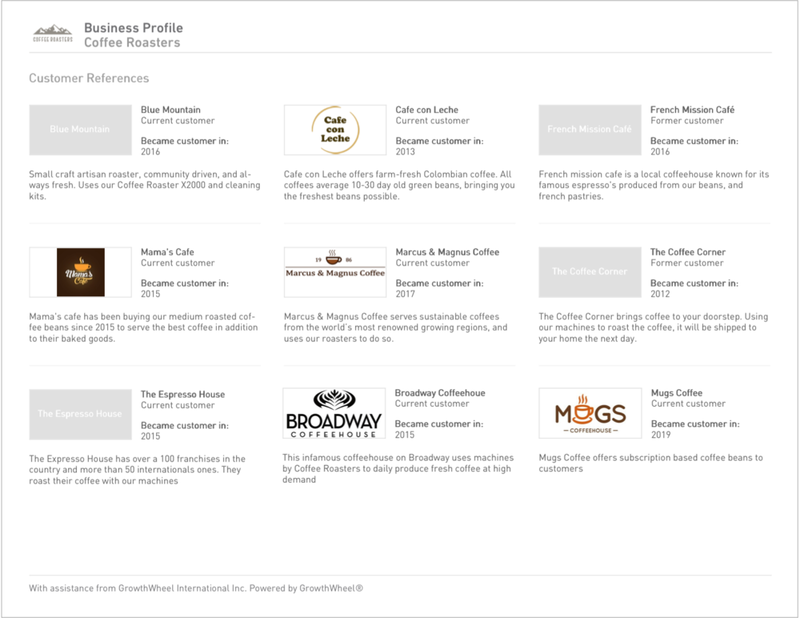 In the Business Profile you can see an overview of all your client's partners. Both you and your client can add the information and the page can be printed individually or together with the rest of the profile. With our June release you can now see a visual chart that shows the market potential of your client companies. Just add estimated numbers for Market size, Market potential, and Current Market in the client’s Business Profile. And of course the chart also show up in the PDF Business Profile. Motivate your clients to fill out the market information to see instant charts. make an even more attractive document for a bank or lender. Start a conversation about what the market potential is and how to reach it. Fill out the forms: Market Size, Market Potential, and their Current Market to see the visual chart of your client companies’ market potential. As you and your clients fill out how big is the market, what is their potential and current market, a visual chart will reflect the numbers. For each market you can choose for to show the market numbers by revenue or number of customers . In some cases you or the client might not know the market size by revenue, but can more easily estimate by number of clients. The chart will be added to your printable Business Profile ready to showcase other advisors, new partners, investors, bankers and more. Now you can create Mentor Profiles and assign mentors to clients. 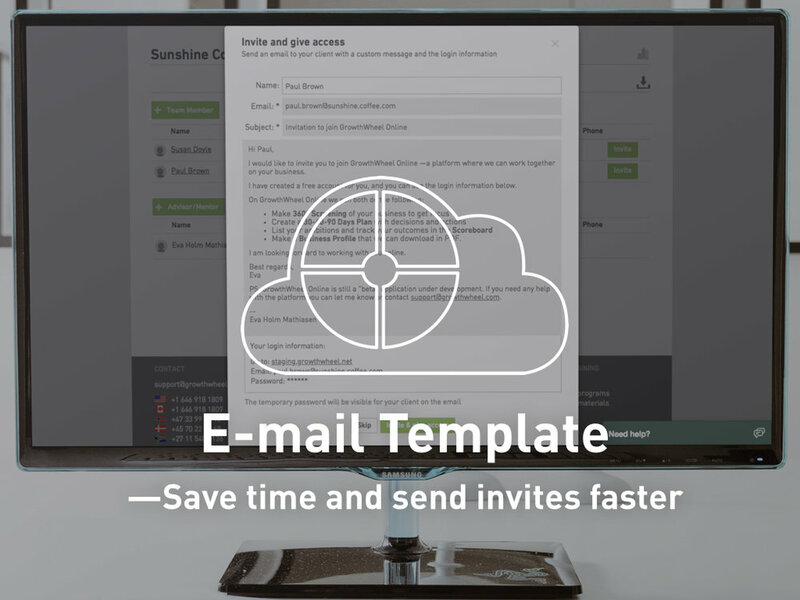 In this March release, we give you a new e-mail template. It is the first one in a series of e-mail templates and the new feature is based entirely on your suggestions. Instead of writing an e-mail from scratch every time you invite a client to the platform, you now have a ready-made e-mail. It is easy for you to edit all the information in the template and the invitation e-mails will by default be send from you. Whenever you want to invite a client, either when you first create the account or when you want to invite a new team member, you will be able to use this template. In our January release, we are adding profit charts to the Business Profile. This gives you and your clients a more comprehensive and complete financial view of the business. You can now more easily report profits for your entire client portfolio and quickly download it as a nice-looking PDF file. The data contain all the key profitability numbers such as gross profit, operating profit and net profit. If you are a manager you can also see the aggregated data for your entire organization or network. Add profit on the financials page and get an instant overview of your clients' growth. With the new profit charts, your clients can get a more extensive business profile to show lenders, financial partners or investors. 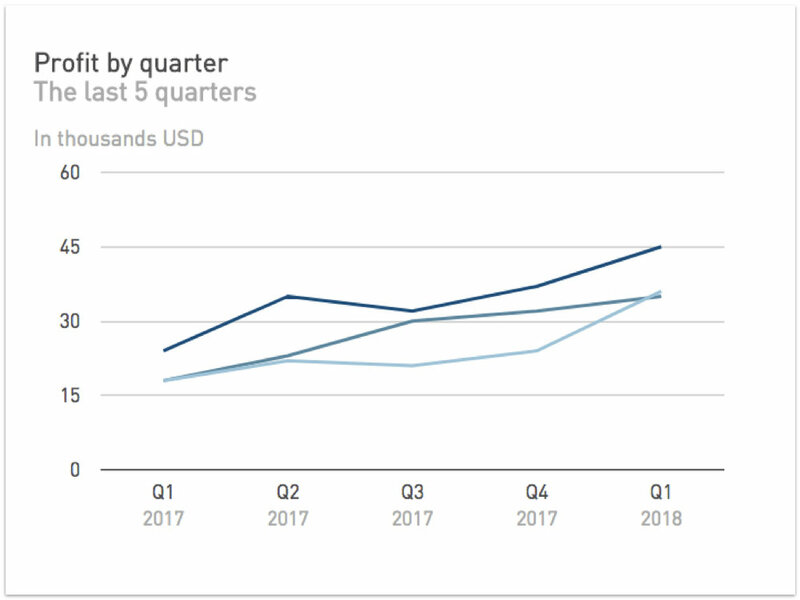 Use profit charts for reporting in terms of growth for your entire client portfolio or network. In our November release, we have added a new feature to the Business Profile: Employee count. Now you can see charts and tables of how your clients are progressing in hiring new employees. 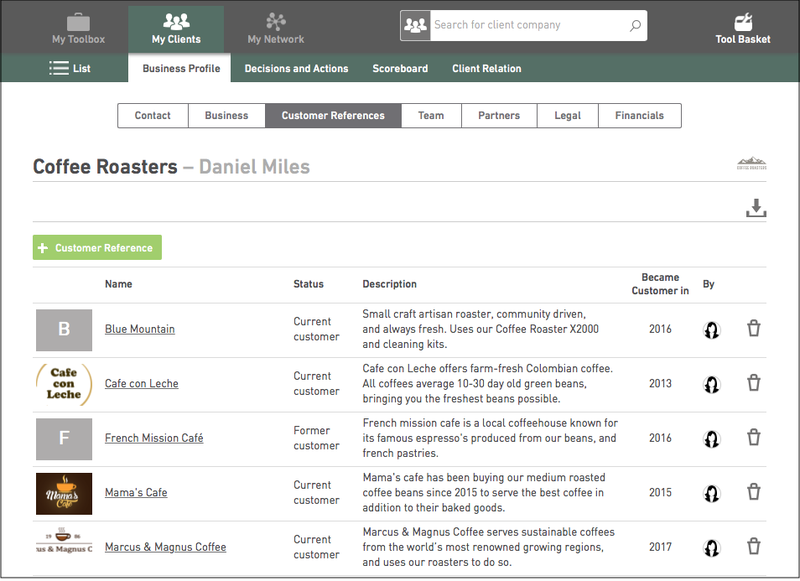 Your Client List has an Employee Count View, which gives you a full overview of all your clients' employees for each quarter in the current year. Network Managers also have an overview of the employee count from each organization in their network. Improve the Clients' Business Profile with charts and tables of the employee count. 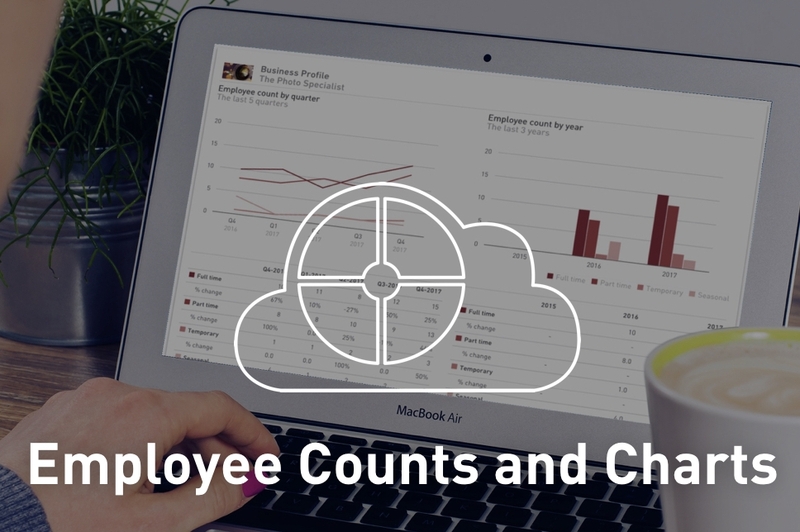 Get a full overview of your clients' employee count progress. Now you can compare counts from previous quarters or years and easily report it. If you are a Network Manager, you can see the big picture of job creation trends for the entire network. You can easily print PDF reports to bring to your team meetings. As a network manager, you can see the employee count by each center that belongs to the network. This gives you an overview of the jobs created across the network. In GrowthWheel, we are committed to making continuous and never-ending improvements of the software in collaboration with our users. Every month, we release new features, and we have hundreds of upcoming features in our road map.